The Geneva Motor Show is around the corner and all the automakers are queuing up to showcase their latest products and technologies. 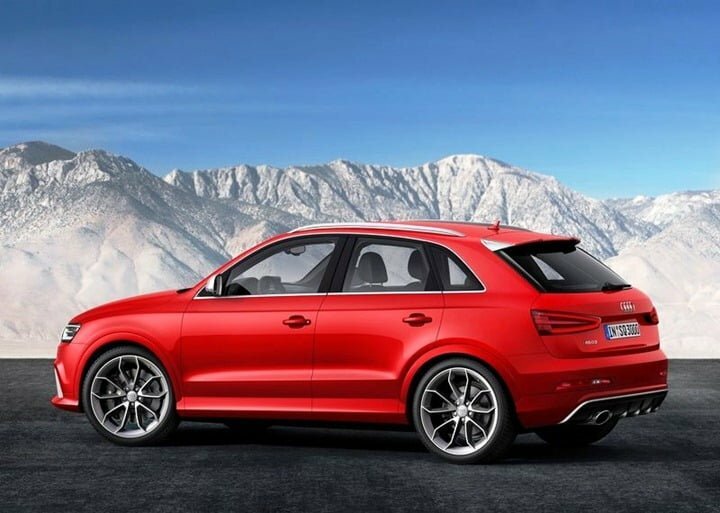 Audi will be bringing the performance model of its Q3 SUV, the 2014 Audi RS Q3. 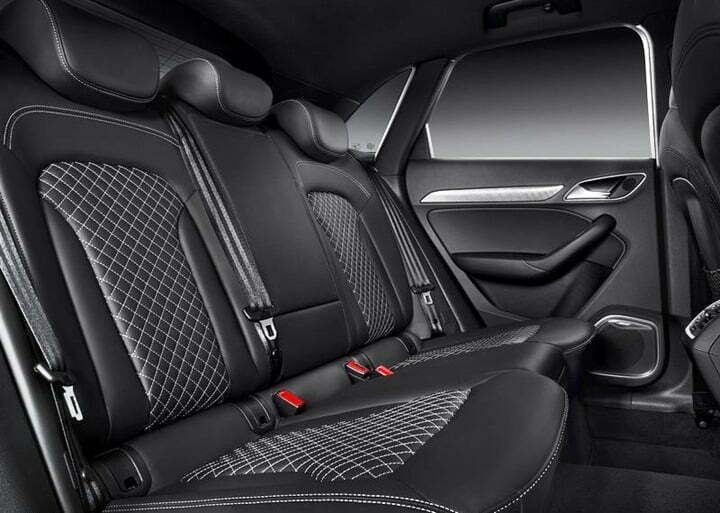 This makes the Q models to also receive Audi’s RS treatment making the model way ahead of the competition in terms of performance. The RS badged Q3 can be differentiated from the ordinary Q3 with its high-gloss black honeycomb grille insert, matt aluminum grille frame, deeper front bumper with sizeable air ducts for the engine bay and front brakes, deeper rear bumper with an integral diffuser unit, coloured keyed wheel arch flares, deeper sills underneath the doors, matte aluminium-look exterior mirror housings, larger chrome tailpipe and even a more prominent rear spoiler. All this and the car get a kerb weight of just 1655 Kgs. Down under the hood sits a 2.5 litre 5 cylinder gasoline powered engine that produces 306bhp at 5200 RPM and 42.9kgm of torque between 1500 and 5200 RPM. Compare that to the 2.0-litre four-cylinder turbocharged unit of BMW X1 that just manages a meager 242 BHP. 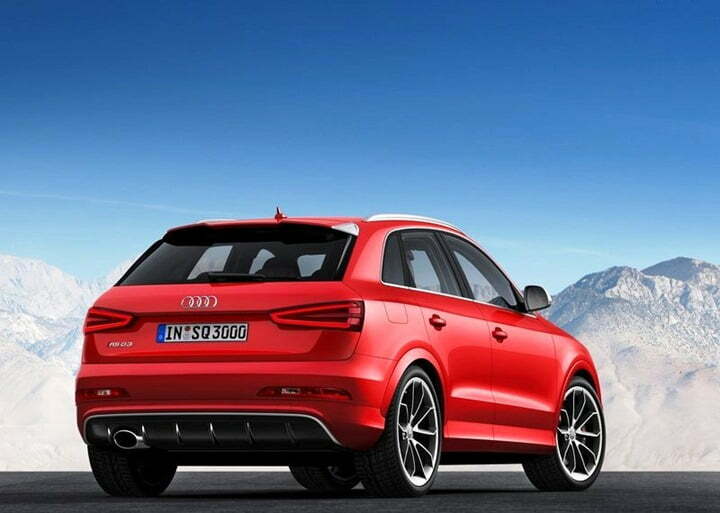 Audi claims the 2.5 litre engine can propel the RS Q3 from 0 to 100 KMPH in 5.5sec and hit a top speed limited to 250kmph. The car comes with 3 different driving modes- D (drive), S (sport) and M (manual). The engine is mated to a 7 speed S-Tronic dual clutch gearbox and sends power to all the 4 wheels. The power distribution between the front and rear wheels is computed based on the amount of available grip. Other technical changes undertaken are re-tuned suspension components, wheels, brakes and interiors. 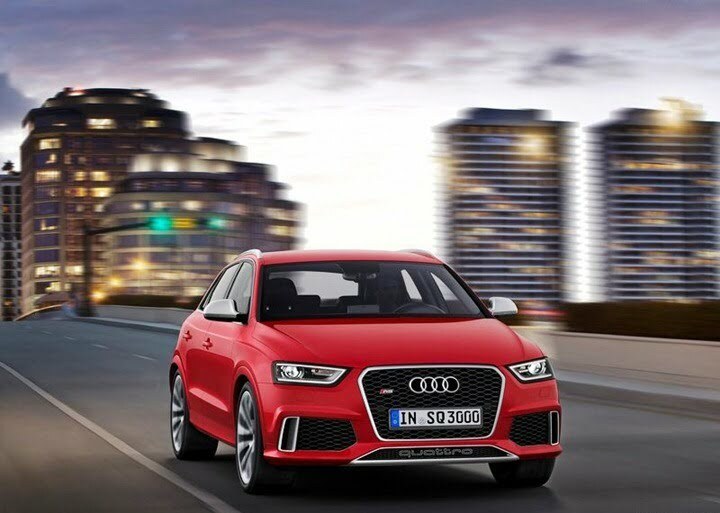 The RS Q3 suspension is lower, stiffer and a thicker anti-roll bar ensures better body roll control. Wheels are 19 inch diameter. Brakes are changed to 365mm steel discs. Also read- Is This The Audi A3 Sedan Expected To Launch In India?